About Me: I am a Bubbe of 5 and am known for my traditional Jewish old world recipes. Most requested by the grandkids is my chicken soup with alphabets, or as they call it, "Bubbe"s Letter Soup." 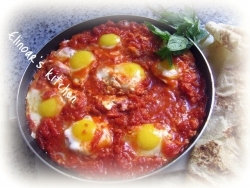 Jewish Recipe Trader let's you find and share Jewish Recipes. What are Jewish recipes? Jewish cooking spans the globe and incorporates styles and flavors from almost every country and region. We've got recipes you won't find anywhere else! Learn more about the Jewish communities of the world.